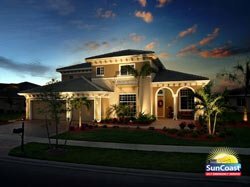 SUNCOAST ELECTRIC AND AIR is built on three generations of general contractors since 1978 and knows that your home, after your family, is your most valuable asset. Repairs and Installations can be expensive to homeowners and electricity is dangerous, that is why your family’s safety is our #1 priority! 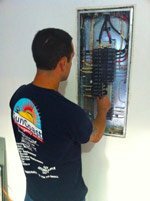 SUNCOAST electricians are very highly qualified to assess your needs and find not only the most affordable, but safest solutions to your electrical repair or installation. We take pride in offering 24/7 LIVE Residential Electrical service, which includes immediate emergency service, same day service, and scheduled appointments that are convenient and get your family or your business back on track in no time! 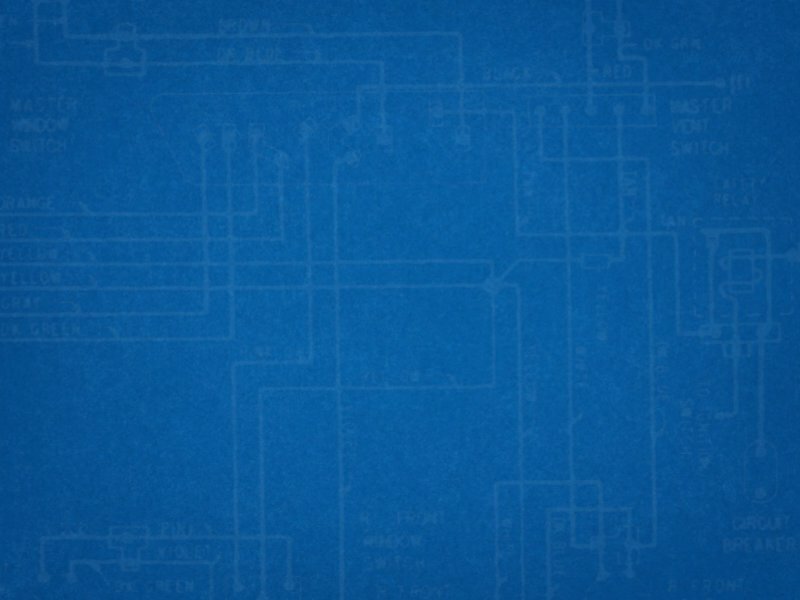 SUNCOAST Electricians carry ALL State and Local Licenses along with mandatory continued education to stay up to date on the latest techniques and codes. SUNCOAST ELECTRIC AND AIR promises to respect your home through professionalism, courtesy, and strict surface evaluations which are second to none, in order to ensure cleanliness after all jobs are finished! 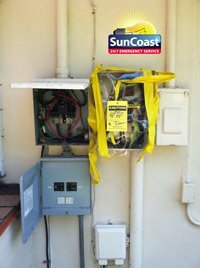 All SUNCOAST Electricians and Service Vehicles are always identified and clearly marked for safety and satisfaction. We promise that our friendly and knowledgeable Electricians won’t leave until the job is done right and your home is running at its best! 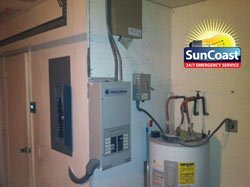 Suncoast Electric and Air is a trusted partner to all electric emergency insurance carriers. When disaster strikes, Suncoast is here for your family! Our experienced Electrician will take high quality photographs along with detailed documentation of the extent of damage. Suncoast Residential Electric will provide you with the necessary documentation to help make sure your claim is processed as smoothly and quickly as possible. 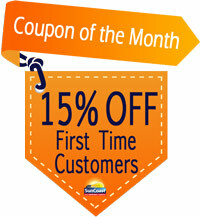 Suncoast Electric and Air has your Residential needs and peace of mind covered with Annual Service Partner Agreements! 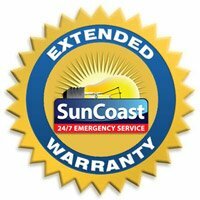 These Agreements offer the same quality service with many discounts available; Suncoast will ALWAYS waive dispatch fees, and provide you with special benefits such as automatic first response from our emergency service team! Welcome to the Suncoast Family! Suncoast Electric and Air looks forward to serving all of your Residential Electrical needs!